We are thrilled to announce the integration of domestic and international bus routes in Lao PDR. We are committed to interconnect by road the main cities as well as the neighbor countries facilitating online ticket booking for buses in Laos in partnership with local transport operators. 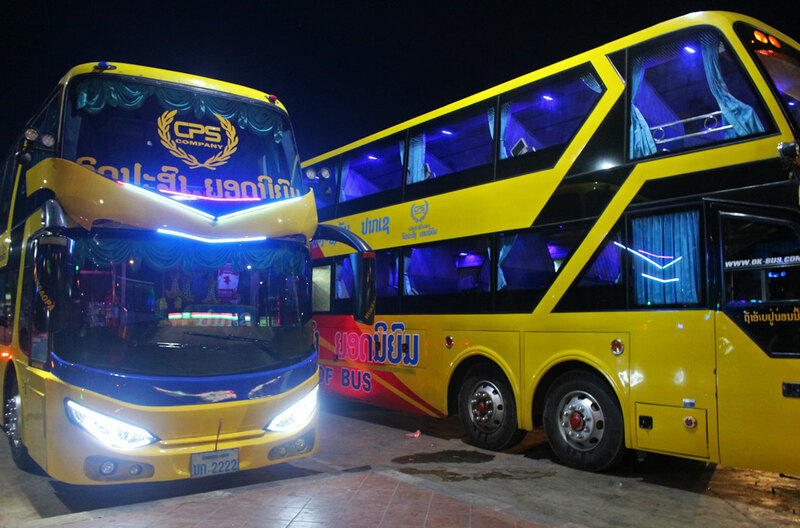 For this expansion, we have established cooperation with multiple bus and minivan companies based in Laos. 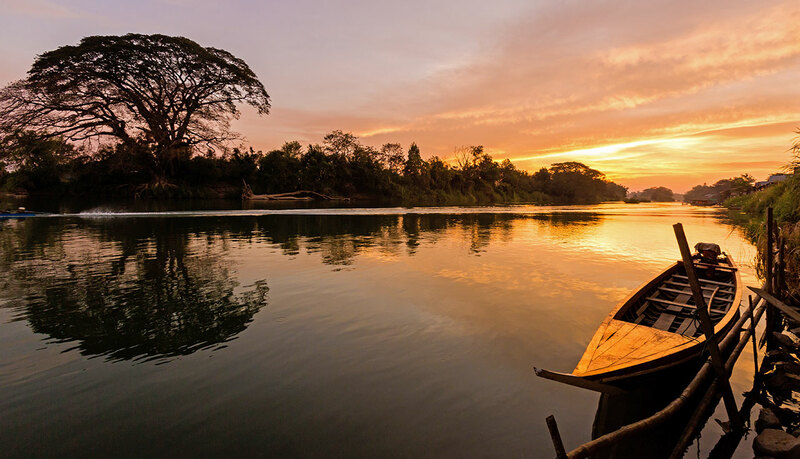 Travellers can book tickets for bus routes in Northern Laos, Central Laos and Southern Laos, as well as international bus routes from Laos to Thailand, Cambodia, Vietnam and China. We support advance ticket booking for more than 25 bus stations and bus stops across Laos, connecting Vientiane with the major tourist destinations in the country: Luang Prabang, Muang Xay, Muang Khua, Luang Namtha and Huay Xai in the North, Vang Vieng, Phonsavan, Kong Lor and Thakhek in the Central region, Savannakhet, Pakse, Don Det and Don Khon in the South. Road passenger transportation in Laos is traditionally carried out with three kinds of vehicles: seating bus, sleeper bus and minivans. The most common models of seating bus in Laos are single-deck Hyundai and Mercedes coaches equipped with reclining seats. Seating buses generally cover short distances between cities during daytime. The most common models of sleeper bus in Laos are double-deck Scania coaches equipped with fixed sleeper berths. Sleeper buses generally cover long distances between cities overnight, allowing travellers to sleep during most part of the trip. Most bus vehicles have an air-conditioning system and the staff on-board usually provides water and refreshing towels and sometimes blankets for the passengers. The most common model of minivan in Laos is the Toyota Hiace, having the interior refurbished with three rows of seats accommodating 9 passengers. Additionally, there is space for 1 extra passenger in the front of the van, seating next to the driver. Most van vehicles are equipped with air conditioning to ensure a comfortable trip, also a roof rack to carry the luggage. 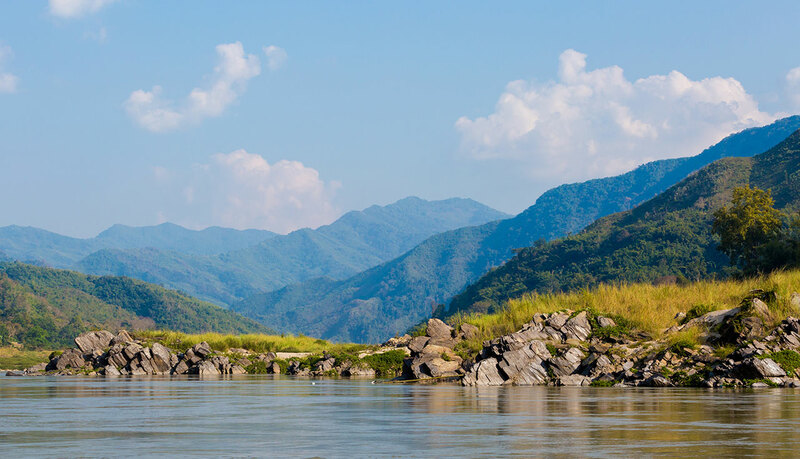 Northern Laos comprises the provinces of Phongsali, Luang Prabang, Oudomxay, Luang Namtha, Bokeo and Sainyabuli. 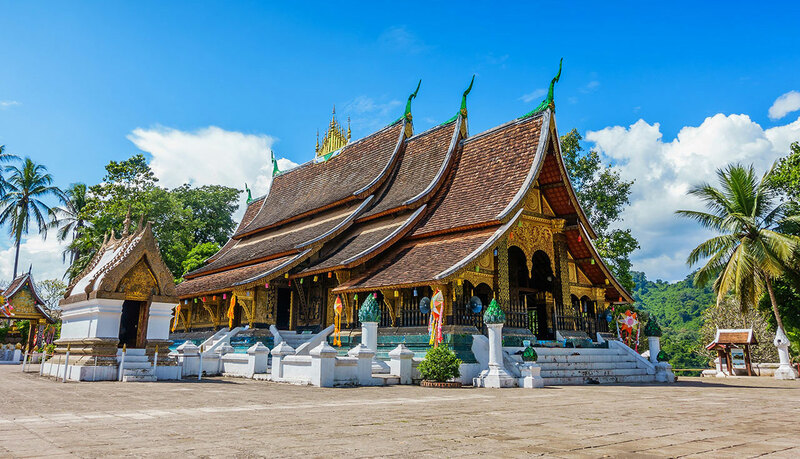 Luang Prabang is the main transportation hub in Northern Laos, with the bus company King of Bus and several minivan companies, namely Naluang Station and Malany Transport, operating in the region. – King of Bus operates regular bus services from Vientiane to Luang Prabang. 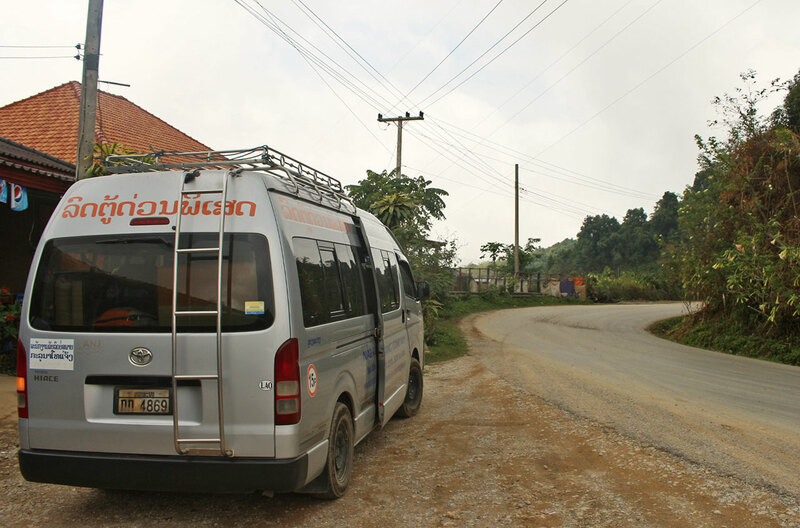 – Malany Transport operates regular minivan services from Vang Vieng to Luang Prabang. – Naluang Station operates regular minivan services from Luang Prabang to Muang Xay in Oudomxay province, Luang Prabang to Luang Namtha in Luang Namtha province, and Luang Prabang to Huay Xai in Bokeo province. – King of Bus operates regular bus services from Vientiane to Muang Xay in Oudomxay province, Vientiane to Muang Khua in Phongsali province, Vientiane to Luang Namtha in Luang Namtha province, and Vientiane to Huay Xai in Bokeo province. 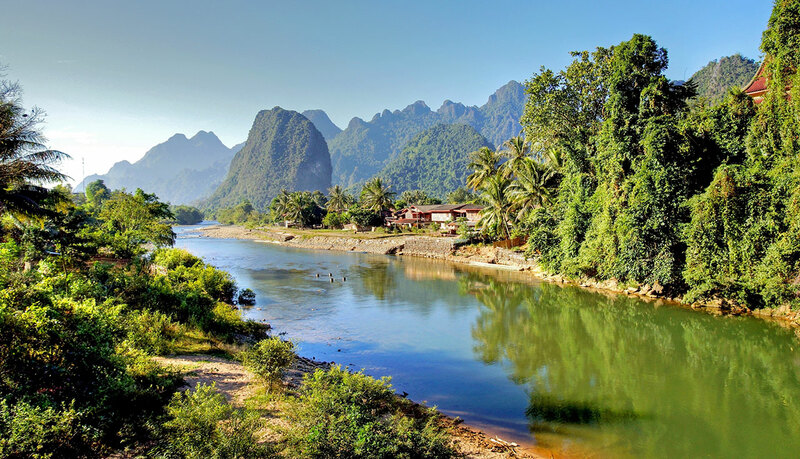 Phongsali, Oudomxay, Luang Namtha and Bokeo are four mountainous provinces in Northern Laos, bordering Vietnam, China, Myanmar and Thailand. Central Laos comprises the provinces of Houaphanh, Xiangkhouang, Xaisomboun, Vientiane, Bolikhamsai, Khammouane and Savannakhet. Vientiane is the main transportation hub in Central Laos, with several bus companies, namely King of Bus and Laos Public Bus, and minivan companies, namely Malany Transport, operating in the region. – King of Bus, Naluang Station operate regular bus and minibus services from Luang Prabang to Vientiane. – Malany Transport operates regular minivan services from Vang Vieng to Vientiane. – Champasak Bus operates regular bus services from Pakse to Vientiane. 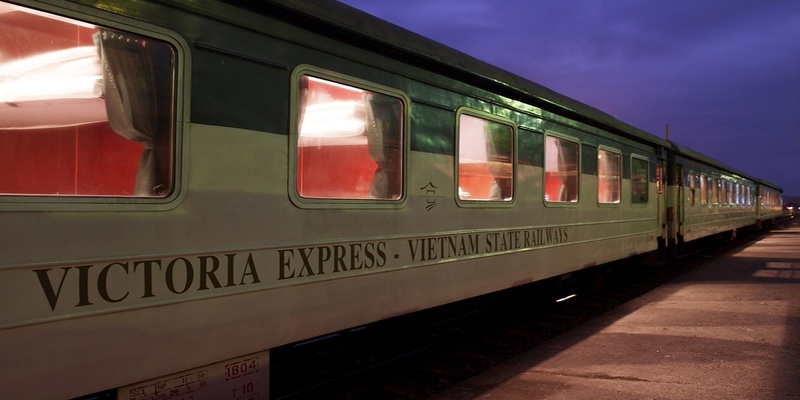 – Naluang Station operates regular minivan services from Luang Prabang to Vang Vieng. – Malany Transport operates regular minivan services from Vientiane to Vang Vieng. Vang Vieng is a picturesque town surrounded by karst landscape and perfect for the practice of outdoor activities such as mountain biking, trekking, kayaking and rock climbing. 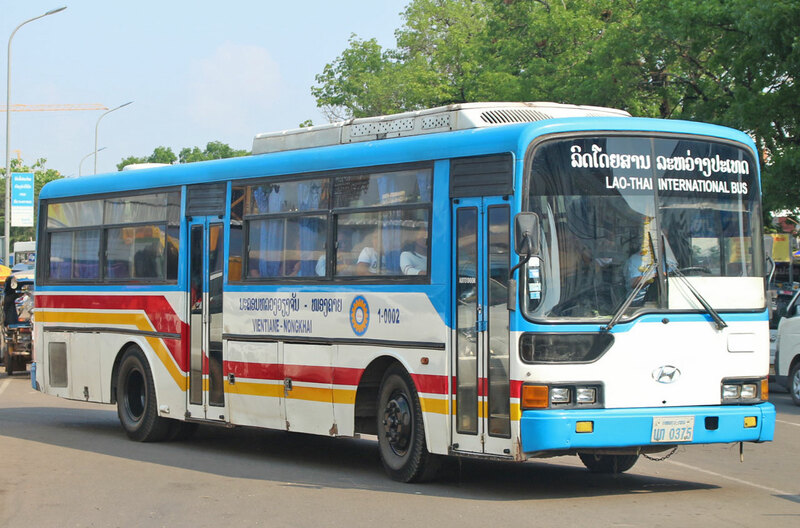 – King of Bus operates regular bus services from Vientiane to Phonsavan. The Plain of Jars in Xiangkhoang Plateau is one of the most important prehistoric sites in Southeast Asia. 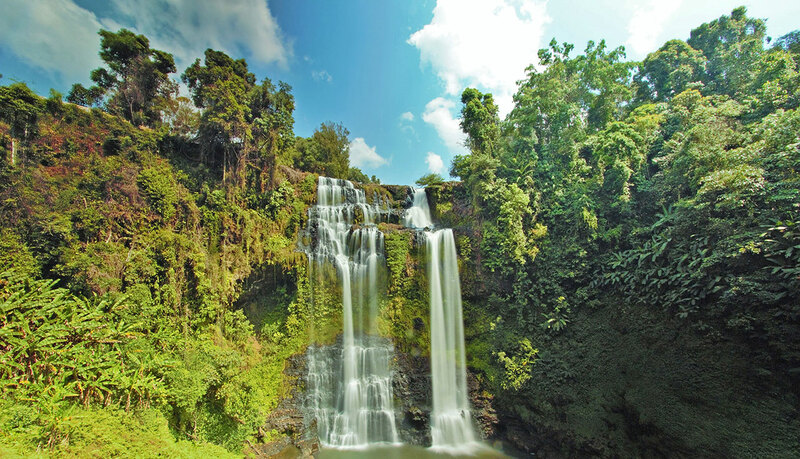 – Laos Public Bus operates regular bus services from Vientiane to Kong Lor in Phu Hin Bun National Park. 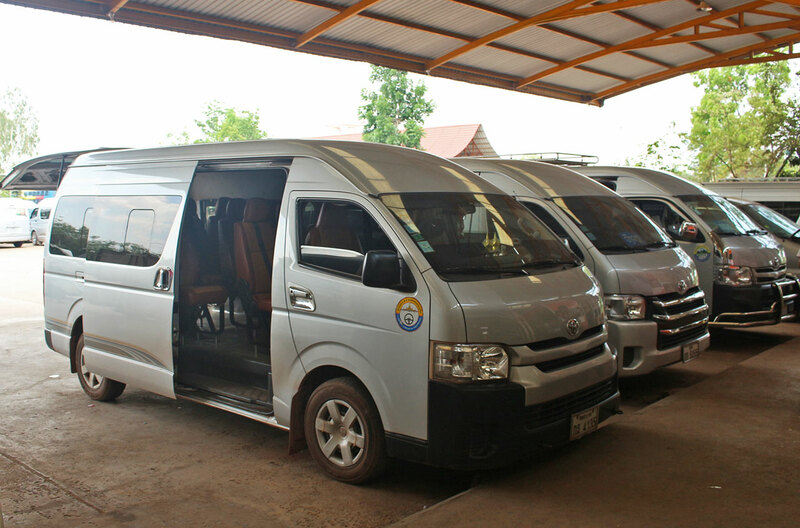 – King of Bus operates regular bus services from Vientiane to Thakhek. 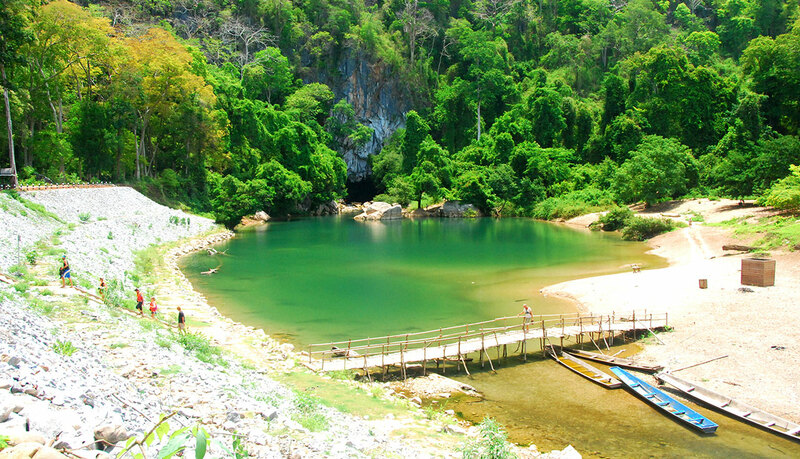 The river cave system in Kong Lor is one of the longest in the world, streching 7.5 km that can be navigated with long boats. 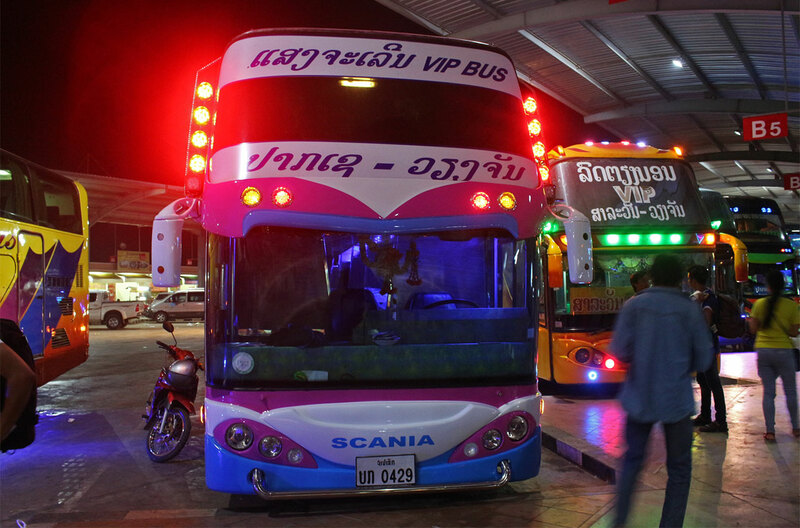 – King of Bus operates regular bus services from Vientiane to Savannakhet. 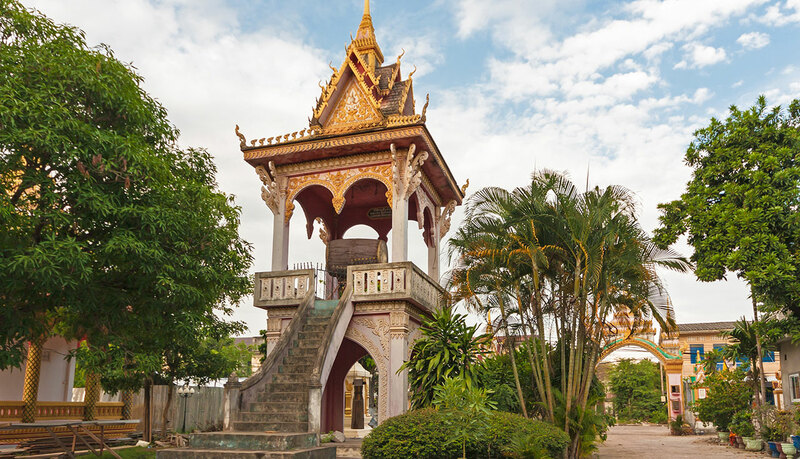 Savannakhet is a frontier city separated of Thailand by the Mekong River. Southern Laos comprises the provinces of Salavan, Sekong, Attapeu and Champasak. Pakse is the main transportation hub in Southern Laos, with the bus company Champasak Bus and the minivan company Green Paradise Tours operating in the region. – King of Bus, Champasak Bus operate regular bus services from Vientiane to Pakse. 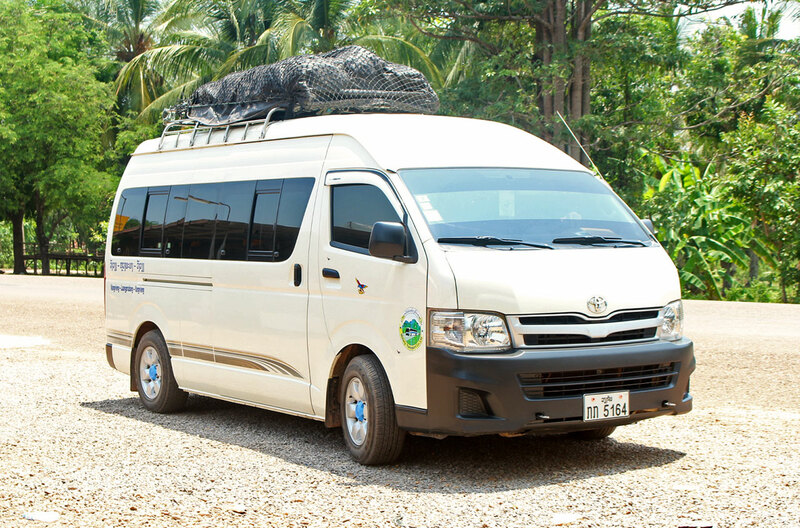 – Green Paradise Tours operates regular minivan services from Pakse to Champasak, Don Khong and Nakasong combined with ferry transfers to the islands of Don Det and Don Khon, located in the Si Phan Don archipelago of the Mekong River also known as 4000 islands. 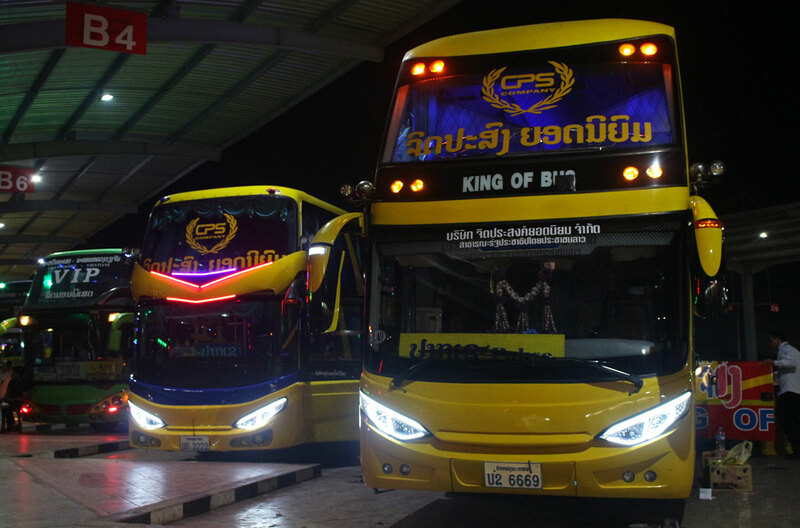 – King of Bus operates regular bus services from Vientiane to Don Khon. 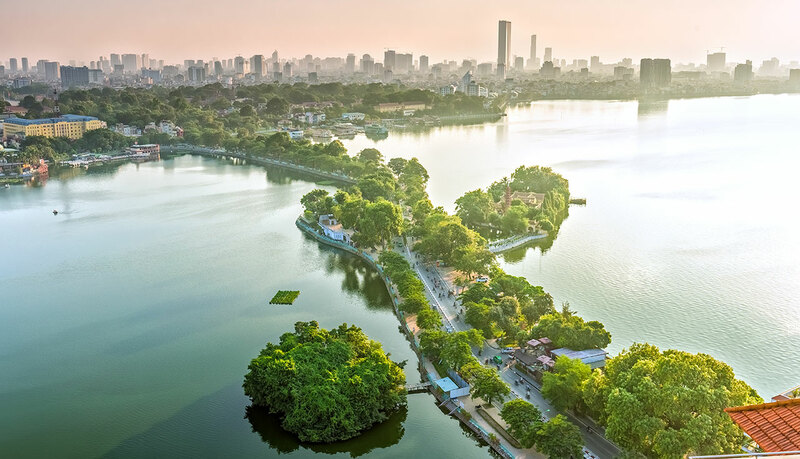 Don Det is a tranquil island surrounded by the Mekong River, in recent years it has become a popular backpacker destination to chill and relax. For those travellers who wish to exit Laos by road, there are international bus services to Dien Bien Phu, Sapa, Hanoi, Vinh, Hue and Da Nang in Vietnam, Xishuangbanna and Kunming in China, Siem Reap in Cambodia, and Bangkok, Nong Khai, Udon Thani, Khon Kaen, Loei, Nan, Chiang Khong, Chiang Rai and Chiang Mai in Thailand. Laos is connected by road with Vietnam through seven border checkpoints, namely Sop Hun–Tay Trang in Phongsali province, Na Maew–Nam Xoi in Hua Phan province, Nam Can–Nong Het in Xiangkhouang province, Cau Treo–Nam Phao in Bolikhamsai province, Cha Lo–Na Phao in Khammouane province, Lao Bao–Dansavanh in Savannakhet province, and Bo Y–Phou Keau in Attapeu province. Laos is connected by road with China through one main border checkpoint, Mohan–Boten in Luang Namtha province. 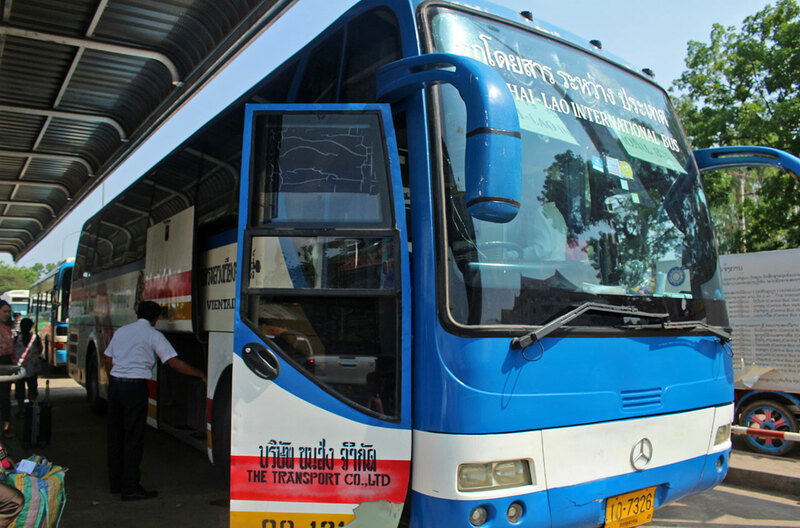 – Thong Ly Bus operates regular bus services from Vientiane to Kunming through Mohan–Boten international border gate in Luang Namtha province. – Naluang Station operates regular bus services from Luang Prabang to Xishuangbanna and Kunming through Mohan–Boten international border gate in Luang Namtha province. 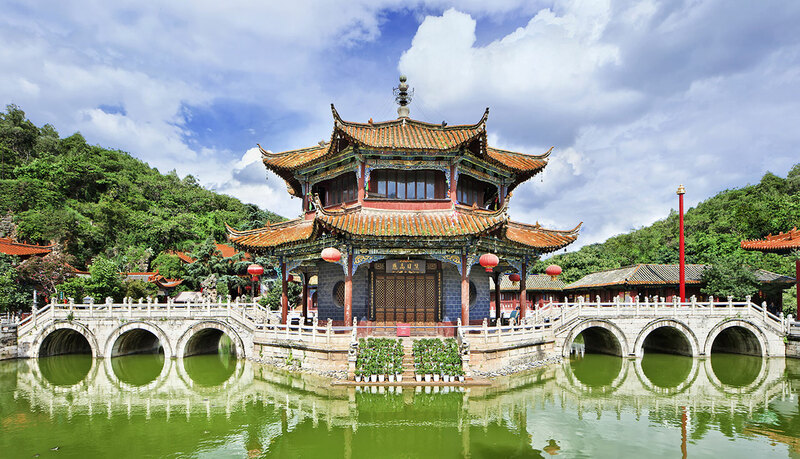 Travellers bound to China are required stamped Visa for China. Visa on-arrival is not accepted at Mohan port of entry. Laos is connected by road with Cambodia through one main border checkpoint, Veun Kham–Dom Kralor in Champasak province. – AVT – ASIA VAN TRANSFER operates regular minivan services from Don Khon, Don Det and Pakse to Siem Reap through Veun Kham–Dom Kralor international border gate in Champasak province. 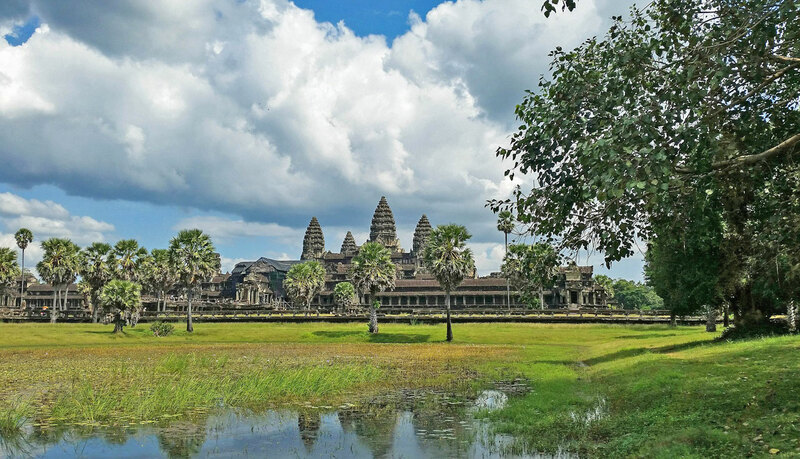 Travellers bound to Cambodia can bring stamped Visa or apply for e-visa or Visa on-arrival at Dom Kralor port of entry. – AVT – ASIA VAN TRANSFER operates regular minivan services from Siem Reap to Don Khon, Don Det and Pakse through Veun Kham–Dom Kralor international border gate in Stung Treng province. Travellers bound to Laos can bring stamped Visa or apply for Visa on-arrival at Veun Kham port of entry. Laos is connected by road with Thailand through eight border checkpoints, namely Chong Mek–Vang Tao in Champasak province, Mukdahan–Savannakhet in Savannakhet province, Nakhon Phanom–Thakhek in Khammouane province, Bueng Kan–Pakxan in Bolikhamsai province, Nong Khai–Thanaleng in Vientiane, Tha Li–Nam Hueng and Huay Kon–Muang Ngeun in Sainyabuli province, and Chiang Khong–Huay Xai in Bokeo province. 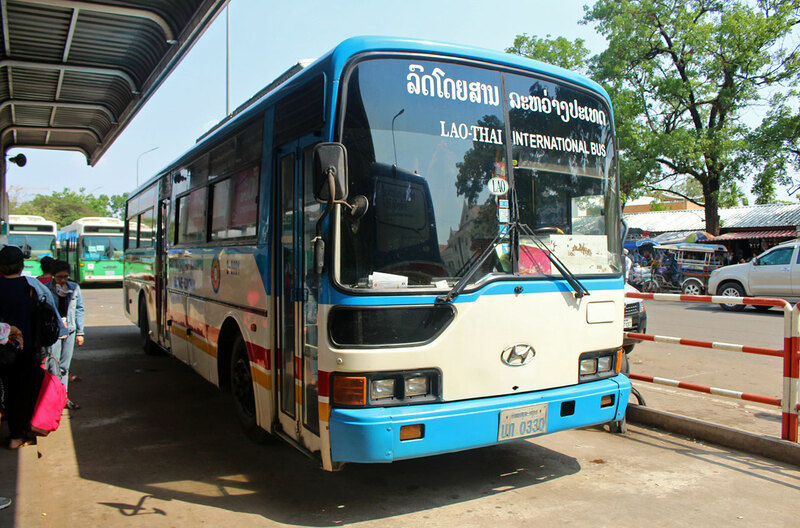 – Thai-Lao International Bus operates regular bus services from Vientiane to Bangkok and Vientiane to Chiang Mai through Nong Khai–Thanaleng international border gate. 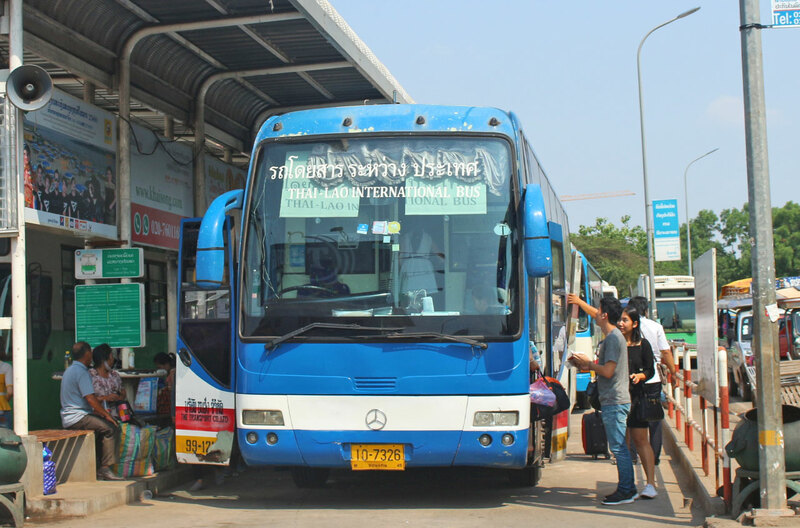 – Lao-Thai International Bus operates regular bus services from Vientiane to Nong Khai, Udon Thani and Khon Kaen through Nong Khai–Thanaleng international border gate. 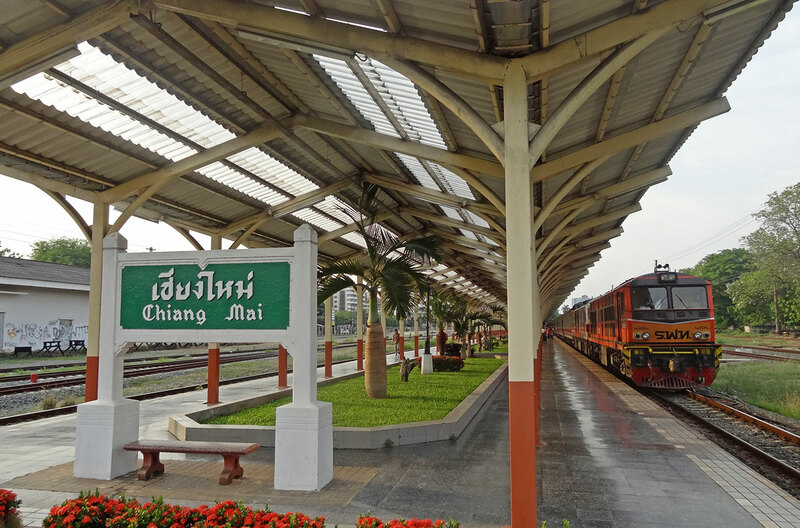 – Naluang Station operates regular bus services from Luang Prabang to Loei through the Tha Li–Nam Hueng international border gate and Luang Prabang to Nan through the Huay Kon–Muang Ngeun international border gate, both in Sainyabuli province. 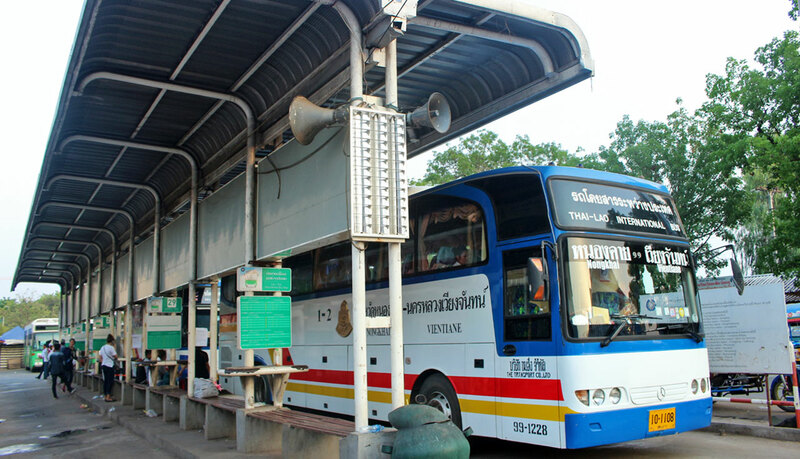 – Naluang Station operates bus services on Mo/Tu/Fr/Sa from Luang Prabang to Chiang Khong, Chiang Rai and Chiang Mai through the Chiang Khong–Huay Xai international border gate in Bokeo province. 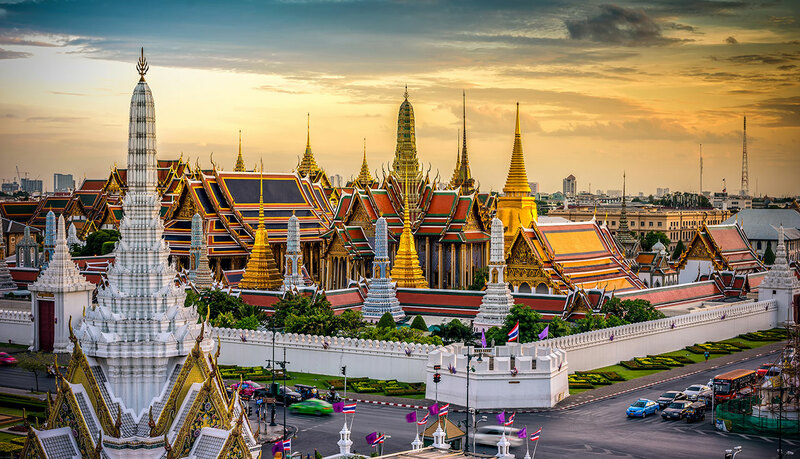 Travellers bound to Thailand are required visa exemption or else stamped Visa for Thailand or apply for Visa on-arrival. 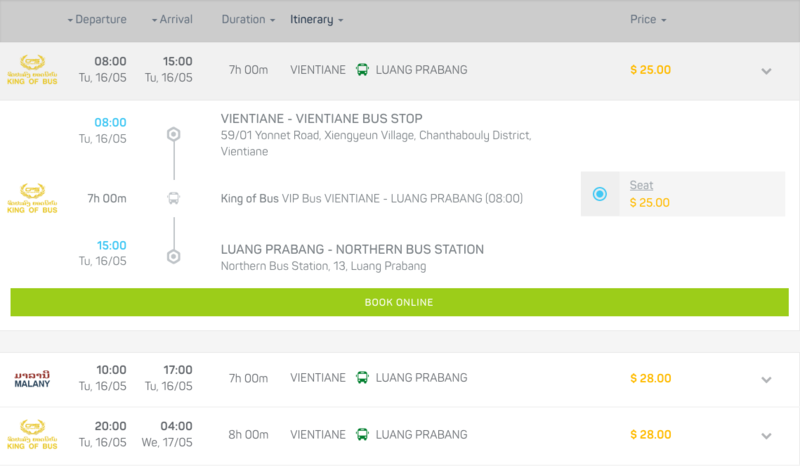 Baolau cooperates with multiple bus and minivan companies to facilitate advance online ticket booking in Laos. You can search your itinerary between any two cities for your planned travel dates. We will list the results available and you can select the most convenient departure time and transport option. Once your reservation is confirmed, you will receive your electronic tickets by email ready to present at the point of departure. 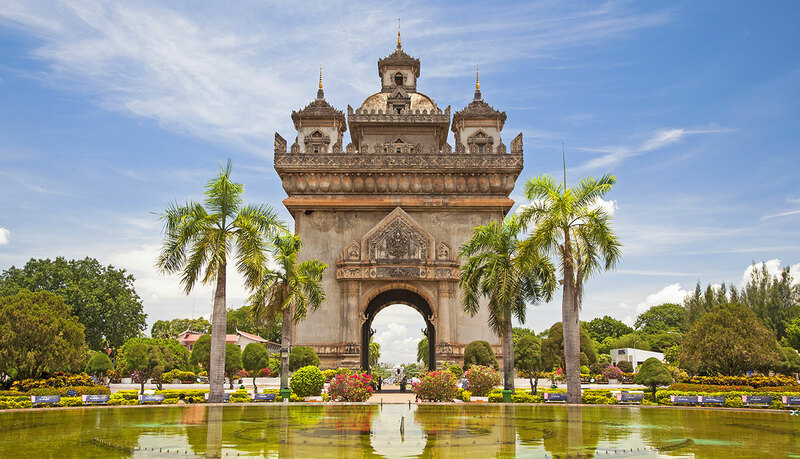 Book your bus tickets easily with Baolau and travel freely through Laos.